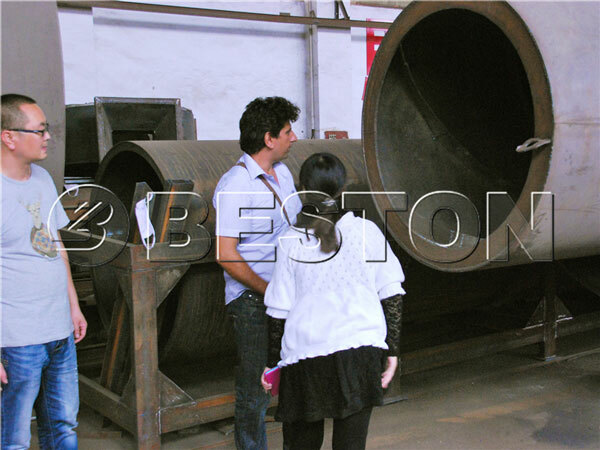 In 2017, Several Tunisian clients came to Beston Machinery Company for a visiting. They told us that they planed to use local biomass wastes as raw materials to produce charcoal which would be reused as fuel in their industrial production. 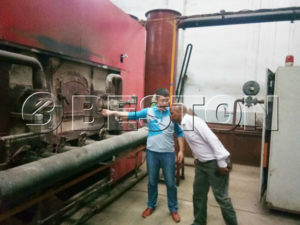 Then we had shown them around the charcoal manufacturing equipment, especially the biomass carbonization machine, and they were satisfied with the design and quality of our machines. Besides, they also expressed their thoughts on the structure and operating pattern of carbonizing furnace, and our professional technicians also had written down the clients’ advises and promised that we would adjust the structure of the machine to meet their demands. From this view, both sides all had strong intentions of cooperation. Charcoal produced by our biomass charcoal making machine for sale has high caloric value, and our project can not only improve the local environmental problems, but also can make a great contribution to local economy.